Just because your home is not equipped with a formal dining room doesn’t mean you have to sacrifice a stunning dining space. Regardless of the floor plan, there are many ways to carve out the perfect spot for enjoying a meal. 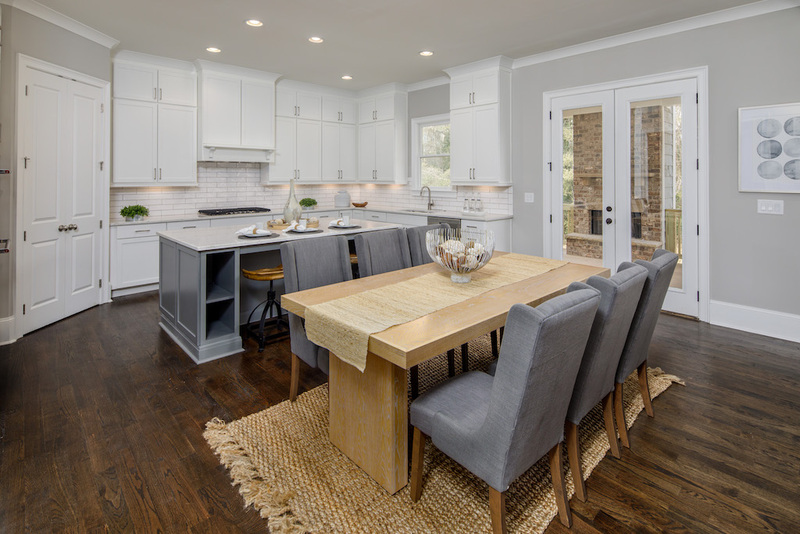 From open floor plans to breakfast nooks, here are 3 ways to maximize your dining space in your Rockhaven home. Like in the home above at Park Chase, window seating is the perfect solution for creating an intimate dining space. This is especially true if there is a corner of your home where you have an abundance of natural light. To achieve this look, find a window bench or ottoman that fits the space for seating against the wall. Complete the look by pairing the bench with a table of comparable length as well as a few dining chairs. In an open floor plan, this creates an informal, comfortable space set apart for family dining. One of the easiest ways to get the most out of your dining space is to use what’s available at your kitchen island. A common spot for food prep, your island can also serve as a place to eat a quick meal. When hosting a large gathering, it’s also an ideal spot to provide extra seating. As seen in the kitchen above from our model home in Reserve at City Center, all it takes is a few dining chairs or bar stools that fit the height of your island. Open concept floor plans are popular in today’s housing market because they provide flexibility. This allows you the freedom to design your space to best fit your needs. One common way to establish a dining area in an open floor plan is utilizing the space between your kitchen and living room. Like in the home above from Long Island Parc, using a spacious table not only fills the room, but it also serves as a natural barrier. Creating your perfect meal time setting starts with finding the home or floor plan that’s right for you. 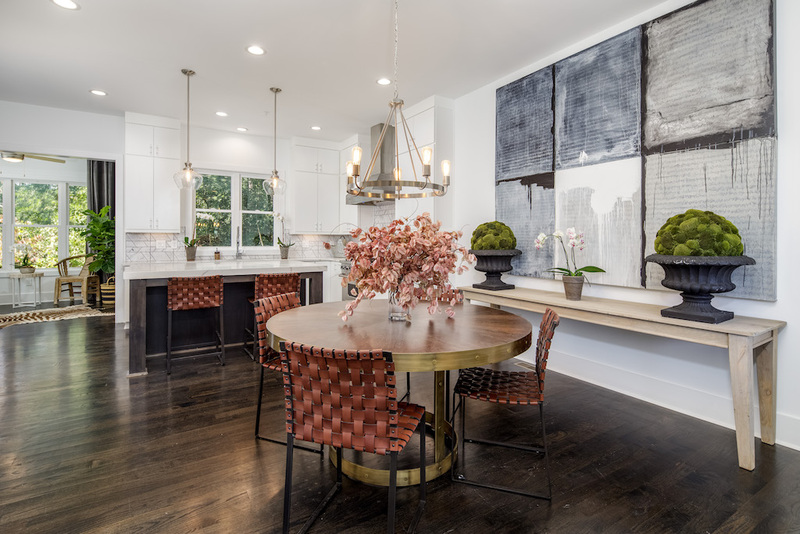 In our neighborhoods throughout metro Atlanta, we offer floor plans that allow you to maximize your dining space in the way that best fits your personal style. 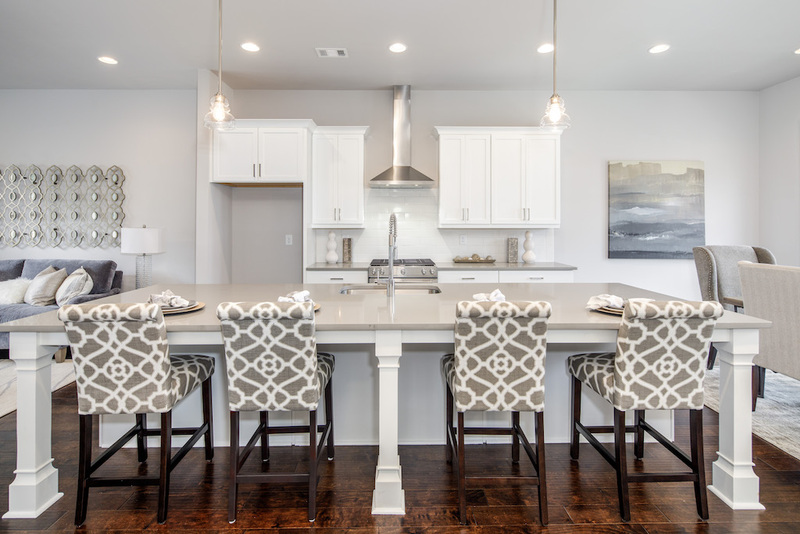 Pair these tips with popular kitchen design trends, and you’ll be one step closer to savoring delicious meals in your new Rockhaven home.